Could the P1 successor be an EV? Electric vehicle technology is advancing rapidly, and it’s no longer just Tesla who understands that EVs are here to stay. According to Autocar, supercar company McLaren, itself no stranger to advanced tech and unafraid to take chances, is still evaluating the possibility of developing an all-electric powertrain for a future supercar. McLaren’s Track 22 program, revealed last year, is to hybridize half of its product range by 2022. That seems doable enough, but what happens beginning in 2023? This is when the P1 hypercar’s successor is due to arrive, and McLaren so far hasn’t ruled out the possibility that it’ll be a pure EV. After all, another of Track 22’s goals is to prepare the Woking, UK-based company for an all EV future. Opting for an EV hypercar also comes with some benefits, one of which is a better lower center of gravity, due to battery placement, than conventional gasoline-engined vehicles. 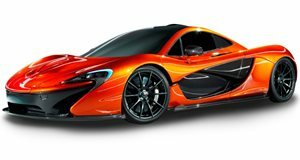 McLaren’s famed and mid-engine setup can be adapted for electric motors and batteries. Also worth noting is the fact that McLaren Applied Technologies is currently supplying Formula E with advanced batteries. Given everything mentioned above, it’s entirely possible, both technically and business-wise, for McLaren to take the bold step of an EV supercar or hypercar in the next seven years or so. Because McLaren doesn’t have the so-called burden of a more traditional technology and design history, such as Ferrari, it’s in a prime position to be on the cutting edge of new technologies. The P1’s successor could just be the best way to fully demonstrate this.